Statistics from the Ghana Immigration Service (GIS) has revealed,1,968 Ghanaians who travelled abroad were either deported or refused entry after arriving at their destination. The breakdown of the figure shows that 1,245 Ghanaians were refused entry into various destinations abroad for failing to meet their respective entry conditions in 2016. This means the refusal of entry into various destinations of Ghanaians shot up by 50.5% from the 827 figure recorded in 2015. Reasons for refusal of entry includes the traveler failing to provide clear information on where the individual is going, misbehaviour towards immigration officer, not having sufficient funds, information provided at entry point contradicts information provided on application form submitted to the embassy to get the visa and possessing take visa among others. Some 723 Ghanaians were deported for non-compliance to immigration and other related offences. Of this number, 42 were voluntarily repatriated whilst 38 were deported en masse. The remaining 681 came on commercial flights. 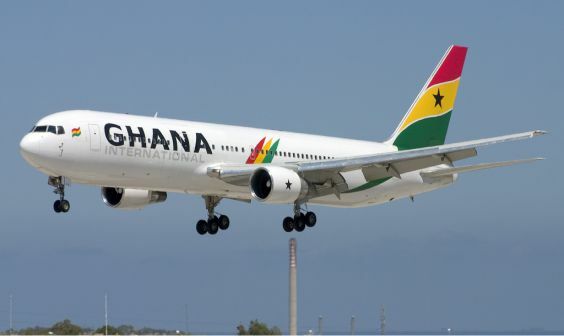 Ghanaians continue to be deported on commercial flights, hence the huge numbers for deportees during the year under review. The top 10 countries where Ghanaians were deported from include Saudi Arabia- 291, USA -74, UK 44, Kuwait 44, Germany -41 and Malaysia 22. The rest are Thailand -14, Italy 13, Israel l3 and Egypt 6. Additionally, 93 Ghanaians returned home through voluntary repatriation while 77 stowaways were arrested and deported to Ghana. As many as 2,940 Ghanaians were deported to Ghana in 2013 while the number of Ghanaians who were refused entry into the various countries were 676. The GIS information also indicates that 179 people stowaways were also arrested and deported.